** Live mix set : X-Rated radio : Hilversum, NL, Nov. 29, 2009. ** Duizel Festival (sound+video installation with Urbi et Orbi) Rotterdam, NL, Aug. 1 & 2, 2009. 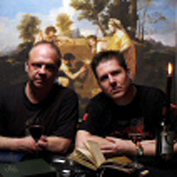 ** Live with Eric Vloeimans, Mont des Arts / Kunstberg, Brussels, BE, Sept. 22, 2007. ** Live with Eric Vloeimans and Olga Mink : State of the image Festival, Arnhem, NL, Sept. 9, 2006. ** Mix set, with Olga Mink : De Effenaar, Eindhoven, NL, Sept. 8, 2006. ** Mix set, with Olga Mink : Lux 06 Festival, Sevilla, ES, May 27, 2006. ** Presentation "BWV 639 Transmission remix" : Luchtkastelen orgel festival, April 22, May 13 & 20, 2006. ** Live performance with Eric Vloeimans & Olga Mink : Plaza Futura, Eindhoven, NL, May 16, 2006. ** Mix set, with Monoscope : CSW.Laznia ,Gdansk, PL, March 17, 2006. In collabs with Audiotong. ** Mix set, with Monoscope : Galeria Kronika ,Bytom, PL, March 16, 2006. In collabs with Audiotong. ** Mix set, with Olga Mink : Ekko, Utrecht, NL, February 23, 2006. ** Mix set, with Olga Mink & Monoscope : Numoon Fest, Rotterdam, NL, December 16 & 17, 2005. ** Mix set, with Olga Mink, VAD Festival ,Girona, ES, November 12, 2005. ** Solo : Platforma & PIK Centre, Saint Petersburg, RU, September 13 & 15, 2005. ** Mix set, with Monoscope (live video performance) Festival Gorlice, PL, July 15, 2005. Photo above taken by Lukasz Pawlak - Requiem. ** 'Vuka vuka !' 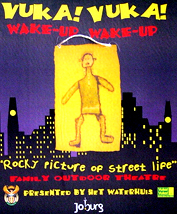 (Waterhuis South Africa Tour) : recordings with a travelling theatre company, SA : 2004/2005. 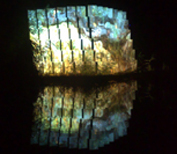 ** Orkater ; music theatre show 'Eiland' (2005). ** With Hugh Hopper, Frank vd Kooy, Robert Jarvis, Kim Weenhof, Paul Maasen & Neils Brouwer : Opmaat,Breda, NL : Sept. 21, 2003. 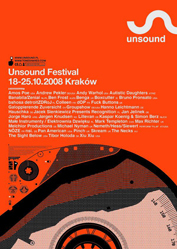 ** Solo : Robodock Festival - Rotterdam, NL, Sept. 19, 2003. ** Solo : (ambient-set) State X Festival - Den Haag, NL : June 7, 2003. ** With Eric Vloeimans & Olga Mink : LantarenVenster - Rotterdam, NL : May 30, 2003. ** With Eric Vloeimans & Olga Mink : International Film Festival - Rotterdam, NL : January 28, 2003. ** With The Videotroopers : ACU - Utrecht, NL : December 21, 2002. ** With Olga Mink & VJ Eirenah : Paradiso (X-Rated Festival) - Amsterdam, NL, : October 30, 2002. ** Solo (mix set) : Club Cult - Moscow, RU, August 3, 2002. ** With Robin Scheaverbeke : Worldport Jazz Festival - Rotterdam, NL, June 22 , 2002. ** With Robin Scheaverbeke : Theater Kikker - Utrecht, NL, April 19 , 2002.